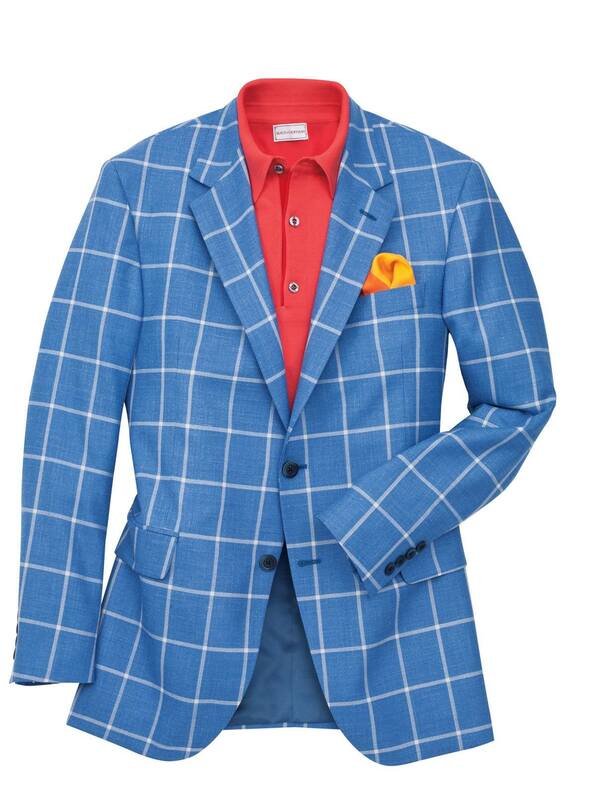 Cooper Windowpane Sport Jacket is tastefully bold, exceedingly comfortable. Tailored in Canada of 75% wool/ 15% silk/10% linen woven in Italy. Softly constructed, slightly trimmer 2-button model, with full lining, side vents.